What's the difference between a Buoyancy Aid and a Lifejacket? A buoyancy aid supports the wearer in the water but is not designed like a lifejacket to turn the wearer face up. Falling or being knocked into the sea causes shock and disorientation so a lifejacket, either permanant foam or gas inflated, will turn an unconcious person face up. Buoyancy aids are for use by small craft sailors, canoeists and skiers or wakeboarders where being in the water happens frequently, but it is expected that the wearer is prepared for this and is a capable swimmer. Young children and poor swimmers should always wear a lifejacket. 50 Newton Class / EN 393 / EN ISO 12402-5 Buoyancy aids and floatation clothing that hold a person afloat with a greater safety margin. Must be used by swimmers only as they do not help you onto a safe back position in the water. For persons 25kg and over. 100 Newton Class / EN 395 / EN ISO 12402-4 Inherent foam lifejackets with the buoyancy concentrated to the front and collar to help a person turn over onto the safe back position. Suitable for swimmers and non-swimmers. 150 Newton Class / EN 396 / EN ISO 12402-3 Inflatable lifejackets with good turning capacity when inflated. Can be inflated manually or automatically. For persons 40 kg and over. Quite a few 150N lifejackets are actually 175N but there is no classification for this size. 275 Newton Class Inflatable lifejackets with extremely good turning capacity. For industrial and professional use. Manual or Automatic inflation. For persons 40 kg and over. Manual gas inflation is simple with a very low chance of accidental inflation, but of course means the wearer must remain concious to activate it. Automatic gas inflation operates either using a soluble paper or salt tablet or by hydrostatic pressure. The soluble type can sometimes activate in damp conditions if stored wet. They have been known to inflate when flung in a car boot and smothered in wet clothing for example. The hydrostatic type known as Hammar will only inflate when submerged to about 1 metre. The most essential thing is that you wear it! As the RNLI are keen to point out, a lifejacket is useless unless worn. Crotch or thigh straps help to prevent a buoyancy aid or lifjacket ride up when floating. A water activated lifejacket light should be worn especially for coastal and offshore sailing. Again for coastal or offshore sailing a sprayhood is necessary. An integral harness allows the wearer to attach themselves to the boat using a safety line. Some lifejackets include a lifting strop for hooking up a halyard to help the person back aboard. A gas inflating lifejacket needs to have a re-arming kit available onboard so that it can be armed and re-packed after activation. This entry was posted in Safety, Tips and Advice and tagged Lifejackets on December 23, 2011 by Iain Forrest. Adding to our Mercury and Hidea line up, we have now a distributorship for Yamaha outboards. 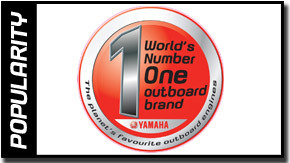 Yamaha have been making outboards for 50 years and is now the No 1 outboard manufacturer in the world. Other manufacturers have come and gone, but Yamaha remain dedicated to their ‘Kando’ philosophy and their customers. Half a century of knowledge and engineering experience is ingrained in every engine that is produced – and with over 9,000,000 engines produced worldwide it is clear how much difference that pedigree can make. Yamaha have always strived to ensure the best quality components and materials go into their outboard engines. Since the first Yamaha outboard motor engineers have tested their engines to destruction, then identified the parts which break and improved them before testing it again. This determined attitude to product development and testing has led to Yamaha developing the highest grade components possible. The unique YDC-30 alloy is a perfect example of how the very best materials are used in Yamaha Outboard Engines. This unique alloy is used across the Yamaha range and has been completely designed and developed by Yamaha Marine Engineers. A combination of aluminium, silicon, magnesium and titanium provides industry leading corrosion protection for significant components within the engine. Developing a unique alloy is just one way that Yamaha ensure that quality is built into their engines. Advanced manufacturing techniques such as the five layer paint process and use of the latest technology such as the NMEA 2000 instrument interface are all factors in delivering the world’s number 1 outboard engine. Whether you are five miles out to sea or five miles down the river a quality outboard engine means that you spend more time doing what you want to do and less time repairing and maintaining your engine. Buy quality, buy Yamaha. Reviewed and recognised by professionals The best recommendation of something is your own experience; unfortunately in the marine world it is not always practical or even possible to test the products which you are considering. Reading professional opinion on boats and outboards is the next best thing and the marine press are always on hand to provide such information. Many publications test various products against each other, and sometimes these tests will also result in associated awards which magazines attribute to the best products. 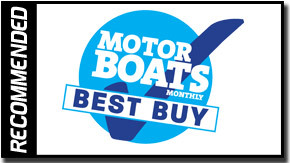 Accolades such as the Motor Boat Monthly ‘Best Buy’ Award are never far away from a Yamaha engine, with several models scooping the coveted prize. If you can’t get access a product for demonstration then reading reviews and press tests is good alternative. Professional journalists are active in the marine industry; testing reviewing and presenting awards; Yamaha outboard are often chosen by these professionals which is why you should think about the outboard engine you are choosing – is it recommended? The RNLI rescues on average 22 people every day and often operates in the harshest marine conditions. They have been using Yamaha outboard engines within their fleet over the last 15 years and most recently have fitted Yamaha four stroke engines on their Atlantic 85 inshore rescue craft. They deliver the performance needed to get to the rescue as fast as possible. 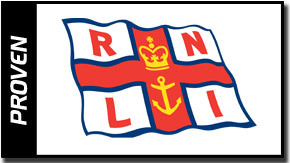 And we supply the very same engines to the RNLI which we supply to recreational boat users. Buying Yamaha is buying professional quality that performs all year round in many conditions - just as the professionals. This entry was posted in New Products and tagged Yamaha on December 20, 2011 by Iain Forrest.